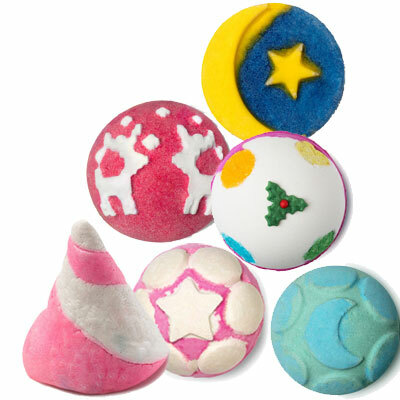 Cruelty Free Gifts for Everyone on Your List! What personal care gifts do people most like to receive? In our survey with 600+ responses, the most popular answers were 1. Bath & Body Products, 2. Perfumes, 3. Facial Masks or Scrubs, & 4. Makeup Palettes. Here are gift ideas for all of these! 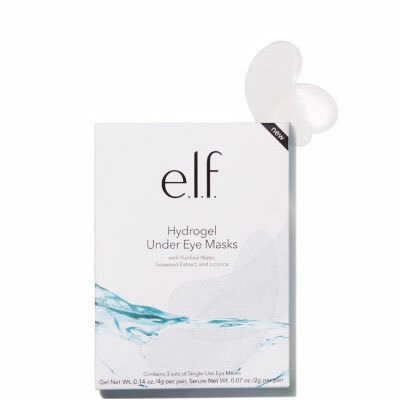 Besides being great, cruelty-free products, they have beautiful or whimsical packaging that makes them especially fun to receive. Shower gels, body creams & hand buttercreams with lovely textures and true scents of coconut, vanilla bean, lavender & others. So many choices in bath products in over 15 scents! Tailor a bath & body set for your special someone, mixing or matching scents. 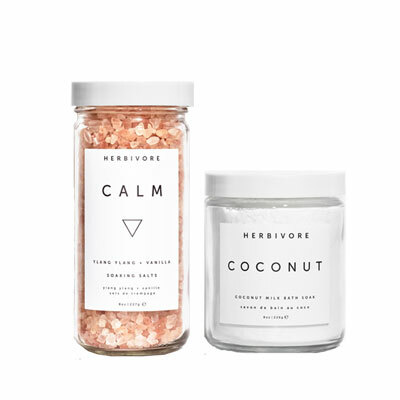 Himalayan pink salt crystals relax mind & body with ylang ylang & vanilla. Coconut Soak is the ultimate skin softening bath, with a light scent of coconut & vanilla. Beautifully formulated & scented. Pair body & hand cream for a lovely gift. Individual hand creams are nice stocking stuffers. Check Pacifica Locator for local availability (e.g., Target, Whole Foods) - call local store first to check. Will bring a laugh of delight to bath devotees. Several in a pretty box make a great gift, or tuck individual treats in the stocking. LUSH has local stores in most large cities, good for last-minute shopping. 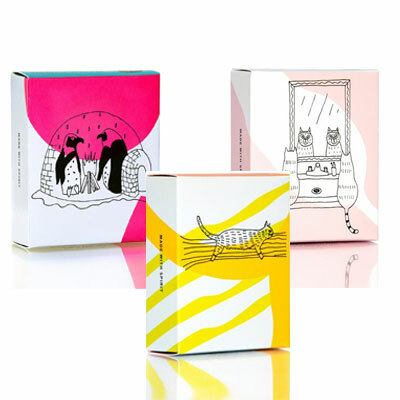 Whimsical packaging for fun as well as practical gift. Most ingredients certified organic. 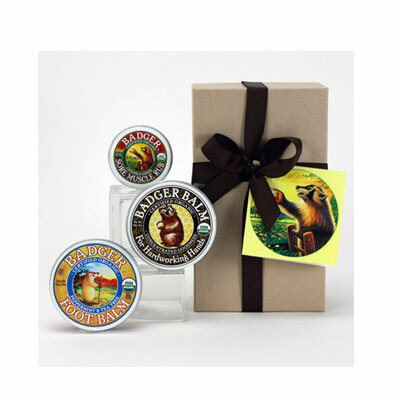 This certified organic set has 1 Badger Balm 2oz tin, 1 Foot Balm 2oz tin & 1 Sore Muscle Rub .75oz tin, all boxed with original Badger-art touches. With a good men's selection, LUSH covers every guy. 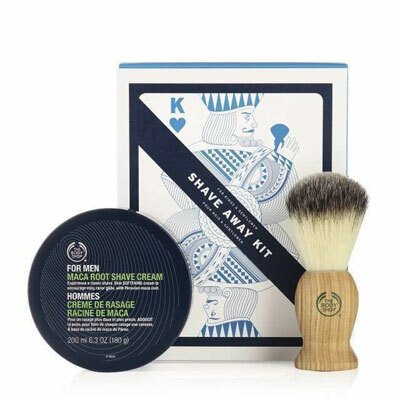 Shown here: Kalamazoo Beard & Facial Wash; Dirty Springwash shower gel; Dirty Shaving Cream; Veerappan vegan moustache wax,$17.95. LUSH has local stores in most large cities. The Body Shop has a good men's skin care selection and has stores in many malls. Combine items for a sure-to-please gift. 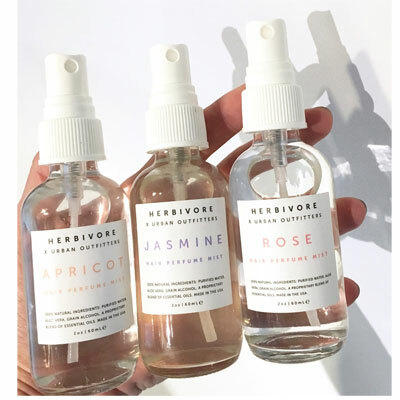 Organic, all natural, award-winning perfumes. Unisex scent Misaki is an earthy lavender. Perfume Oil Mini Fiori d' Arancio is a bright citrus. See the Minis in other scents, too. With many lovely scents, there's a bouquet for everyone. 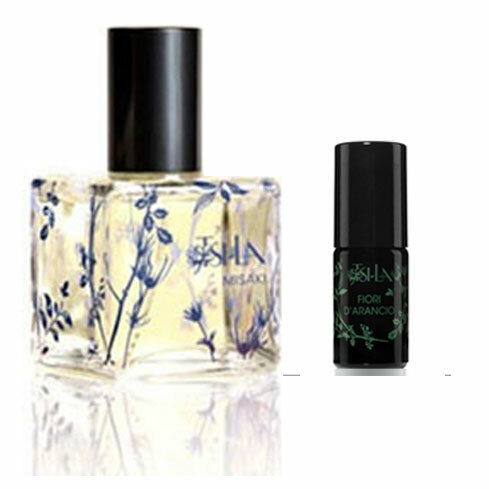 Roll-on & solid perfumes especially nice as stocking stuffers. Check Pacifica Locator for local availability - call local store first to check. Another award-winning, all natural perfume. 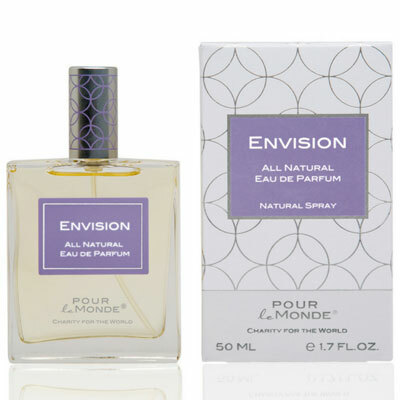 Unisex Envision is an exotic, spicy oriental scent. Also see Empower, a citrus unisex scent & Together, a light floral, feminine scent. Exquisite infusions of pure essential oils. 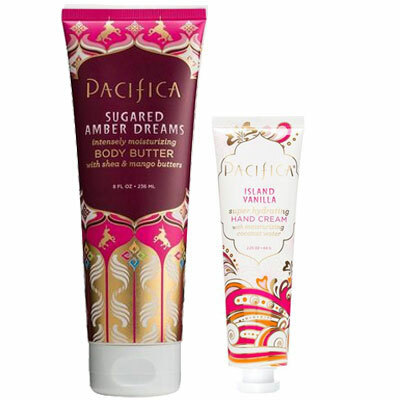 Hawaiian Desire evokes the tropics, with pink grapefruit, palmarosa & Hawaiian plumeria. Zingara Gypsy has sensual sandalwood, rosewood & vanilla. 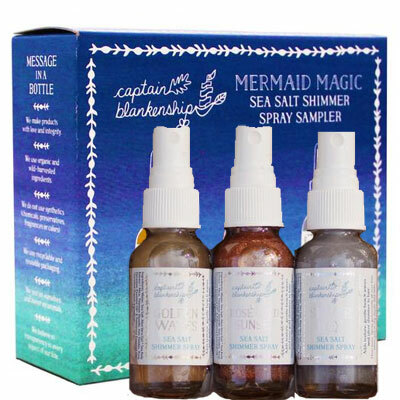 Sparkle and perfume in a sea salt spray that adds texture & subtle beach waves to hair. For all hair types & colors. Perfumed with Rose Geranium and Palmarosa essential oils for a beach rose scent. Sampler has Gold, Rose Gold & Silver. In Jasmine, Rose, Apricot. 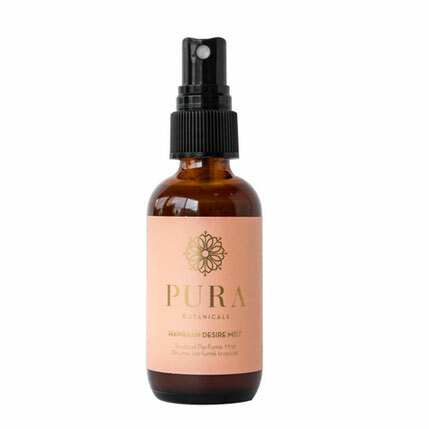 Essential oils and absolutes give refreshing light scents in these all natural aromatic hair perfume mists. Locally at Urban Outfitters stores. Made of 100% coconut, deeply hydrating, & infused with healing flower ingredients & aromatherapy essential oils. "Florapy" comes from "Flowers" and "Aromatherapy." 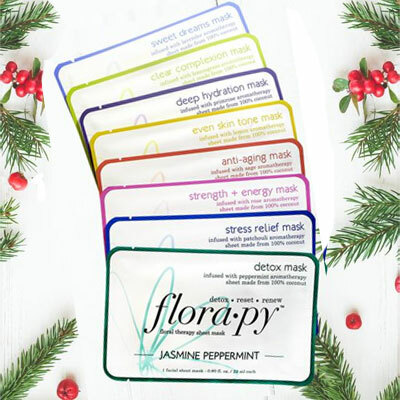 Eye masks are a nice relaxing addition to any gift. Check the e.l.f. Store Locator for nearby stores (e.g., Target, Walgreens). Call local store first to check for item. 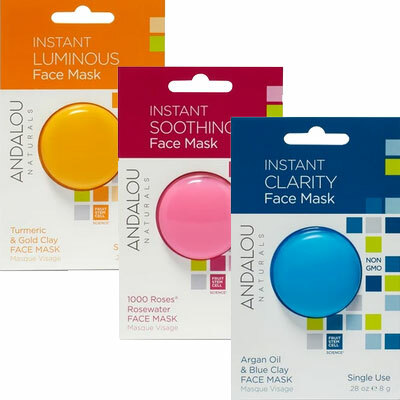 Deeply hydrating fiber sheet masks, with fruit stem cell complex & other, targeted ingredients. A relaxing way to spend 20 minutes! 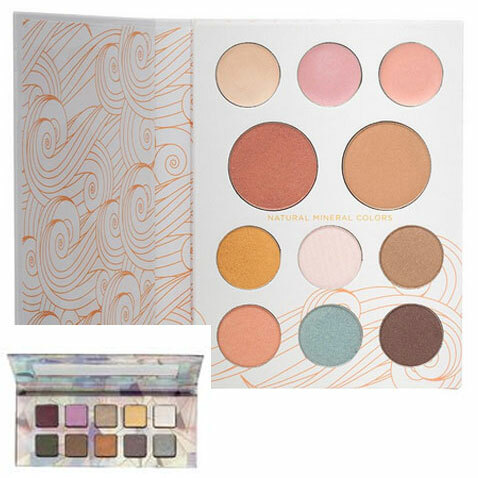 Full set of eye shadows, blush, bronzer & highlighters in a beautiful, recyclable palette. Also see their eye shadow palettes - at $14-$18 they are nice stocking stuffers! 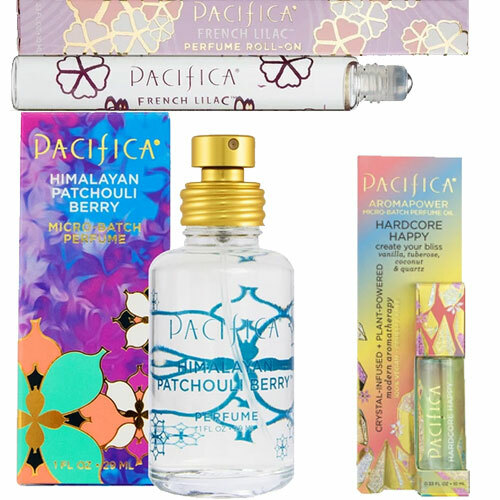 Check Pacifica Locator for local availability (e.g., Target, ULTA) - call local store first to check. 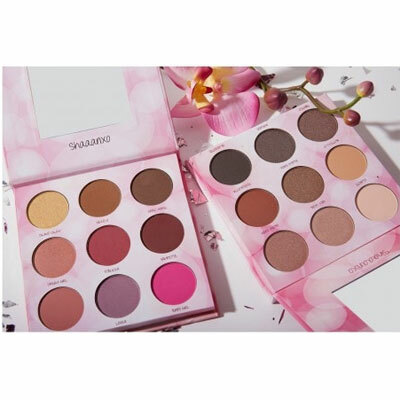 From beauty influencer Shaaanxo, this palette has 9 earth-toned mattes & shimmers, 9 neutrals & a few bright shades. It flatters all skin tones. BH Cosmetics has tons of palettes, many available locally at ULTA. Call your local ULTA first to check. The only decision is which to get?! You may have to reserve judgment and get both. :) Kat Von D is at Sephora, so you might want to drop by your local Sephora and browse other Kat Von D sets, too.